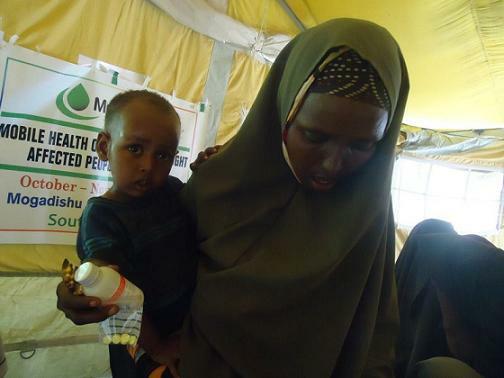 Muslim Aid was one of the participants of the WHO meeting in Somalia in January 2012 to find ways for supporting poor communities suffering from the neglected tropical diseases (NTD). The meeting noted that around ten NTDs in Somalia are part of the ignored health concerns that affect poor communities, of which five pose a major threat, including Bilharzia, Leishmaniasis (VL), Filariasis (Elephantiasis), Leprosy ad STHIs. Effective interventions can help prevent their spread through labs confirming suspected cases, early patient treatment, creating health awareness, mobilizing resources and training health workers. For instance, several suspected cases of lymphatic filariasis (elephantiasis) have been found in various locations in Somalia, but the disease hasn’t been addressed because of lack of effective interventions and inclusion of the disease in public health projects. Following the WHO meeting, two members of Muslim Aid health staff from Somalia have been sent to Sudan to receive training on Visceral Leishmaniasis to develop a better understanding of how to effectively work out solutions. Muslim Aid is also collaborating with other WHO partners to ensure provision of services for those affected in the poorer sections of the society. Muslim Aid is, thus, progressively moving towards providing better interventions and awareness in terms of the NTDs in Somalia. It is one of the leading NGOs who are trying to bring the knowledge about NTDs to the forefront and enable other humanitarian agencies, community members and donors to recognize these diseases as health hazards.